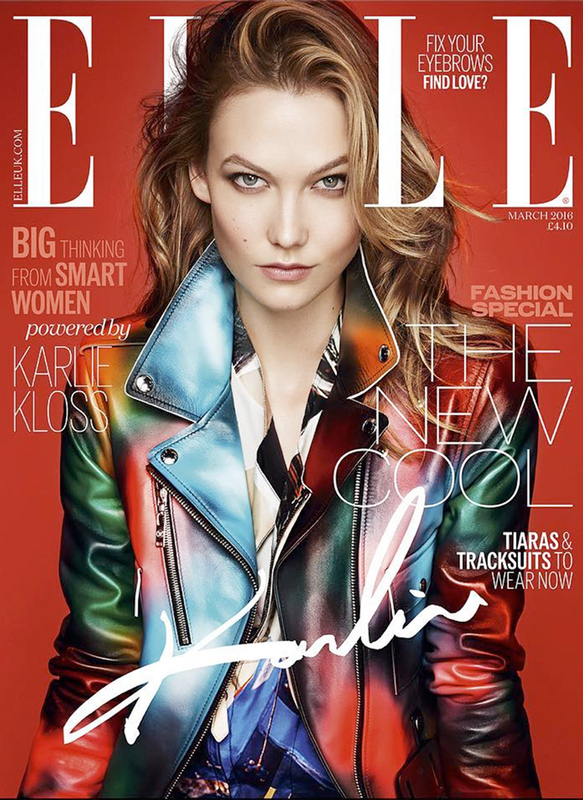 American model Karlie Kloss features as an electric and glamorous cover star of Elle UK's March 2016 story. The beautiful blonde model is shot for the stylish editorial by Kai Z Feng with the styling works of Anne-Marie Curtis. Karlie, who recently starred in the Kurt Geiger Spring/Summer 2016 Campaign, is full of zest as she poses in an array of clothing including flirty mini dresses, elegant low-cut lace dresses, sequinned looks and fit and flare designs. The cover has her rocking a colourful Louis Vuitton leather jacket, with her hair done in chic waves, and looking stunning!